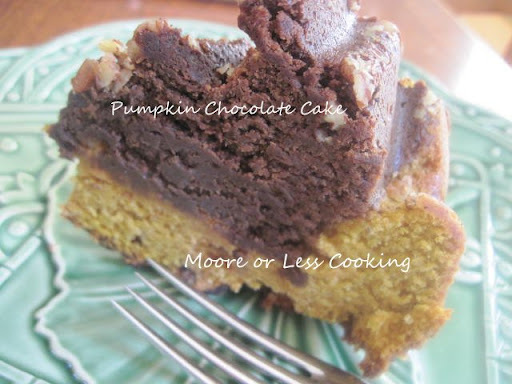 I really love pumpkin and since it has been rainy and colder, I have been feeling like baking something with pumpkin, what could be better than a pumpkin chocolate cake? This cake is moist and filled with chocolate, not overbearingly sweet. This cake received rave reviews from four different friends, all saying it was one of the most delicious cakes and that they didn’t want to share! Perfect review I think! 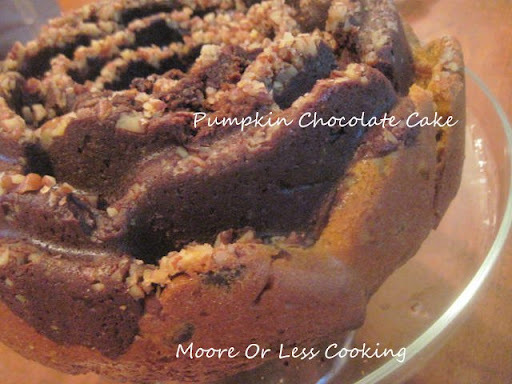 I baked this cake in a Rose Bundt pan to show off the pumpkin, chocolate and pecans in a beautiful design. I think it is a show stopper. This cake is very moist and rich, I used Ghiradelli Double Chocolate Bittersweet Chocolate Chips for this recipe. 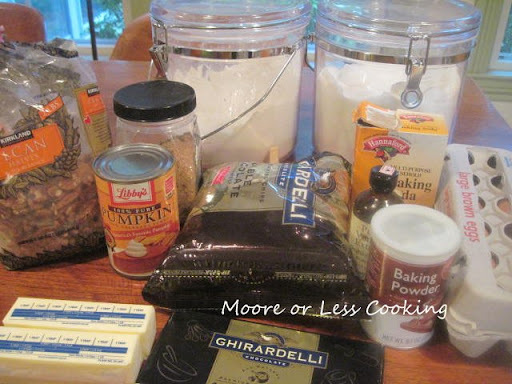 Here is what you need: butter, brown sugar, white sugar, eggs, flour, baking powder, baking soda, baking chocolate ( I used both Ghiradelli chips and Ghiradelli baking chocolate), vanilla, pumpkin, pecans, cinnamon ( not shown). Beat butter, add sugars. Add eggs one at a time, beating well after each. Mix dry ingredients. 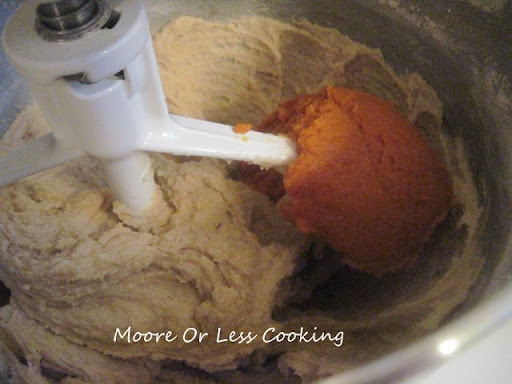 Add to mixed butter, sugar and eggs, then add pumpkin. After dividing the batter in half, add melted chocolate. Mix well. 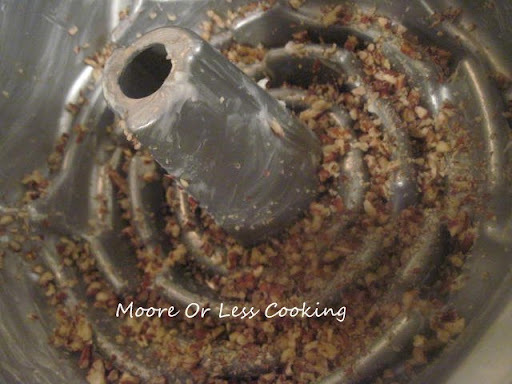 Sprinkle chopped pecans to the bottom of the greased bundt pan. 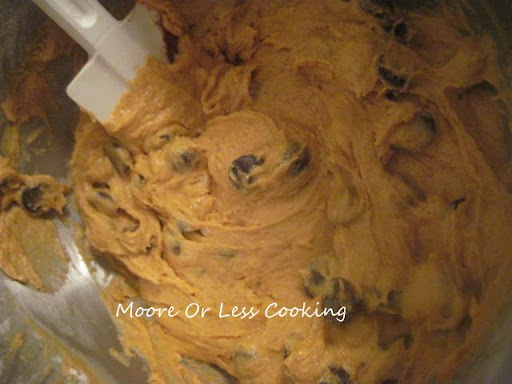 To the other half of the batter add chocolate chips, mix well. 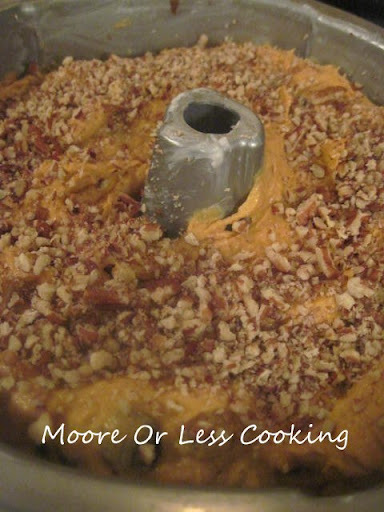 Pour pumpkin batter with chips on the bottom layer, sprinkle a layer of pecans, top with chocolate batter, sprinkle pecans to the top. Bake 60-70 minutes, test with a knife that it comes out clean. This cake took about 10 minutes longer to bake, the knife did have melted chocolates on the knife, so it doesn’t come out perfectly clean. Let cool for 15-20 minutes, my cake stuck in one spot, I eased it out and put it together where it had come apart, it still looked beautiful. 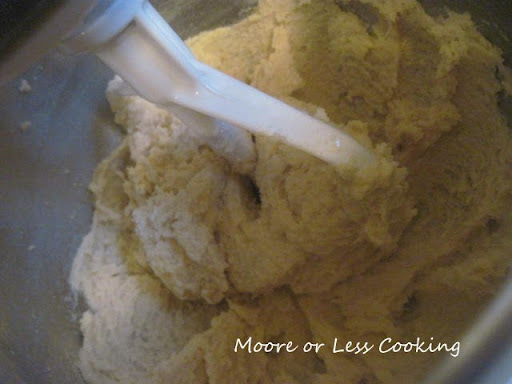 In a large bowl, cream butter and sugars until light and fluffy. Add eggs, one at a time, beating well after each addition. Beat in vanilla. 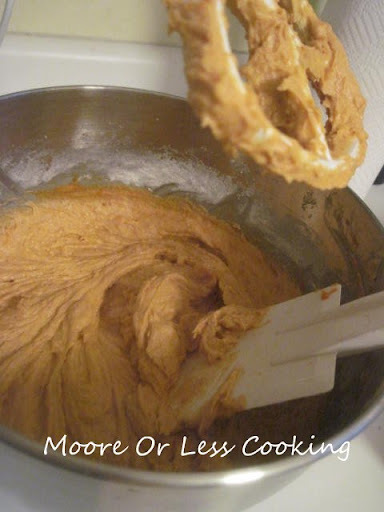 Combine the flour, baking powder, baking soda and cinnamon; add to the creamed mixture alternately with pumpkin, beating well after each addition. 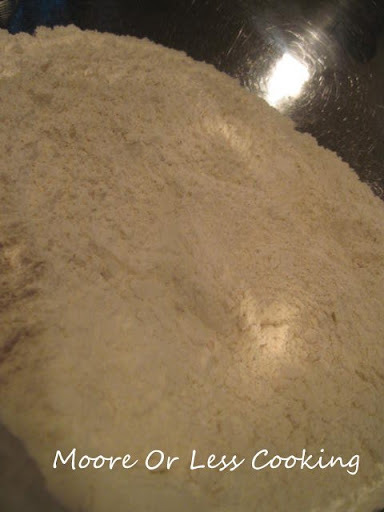 Divide batter in half. Stir melted chocolate into one portion. In a well-greased 10-in. fluted tube pan, sprinkle 1/2 cup pecans. 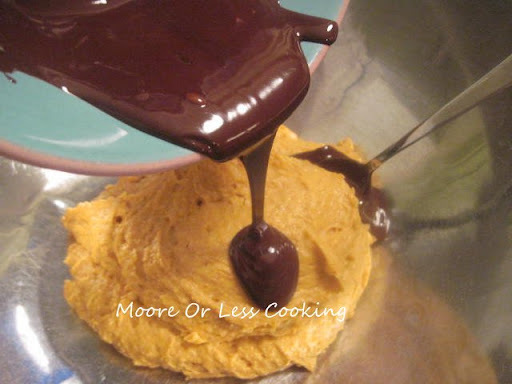 Spoon chocolate batter over pecans; top with pumpkin batter. Sprinkle with remaining pecans. 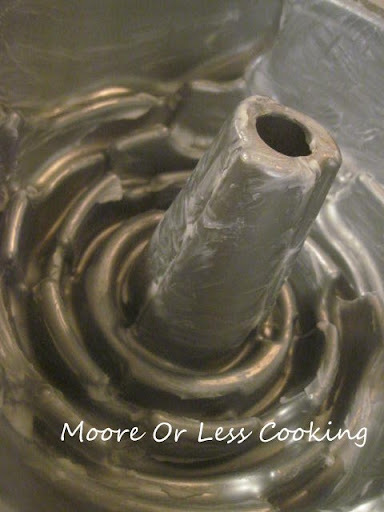 Bake at 325° for 65-70 minutes or until a toothpick inserted near the center comes out clean. 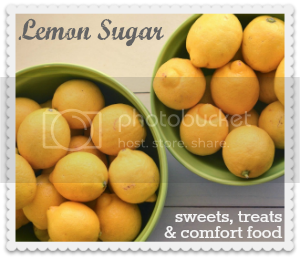 Cool for 15 minutes before removing from pan to a wire rack.This recipe was inspired from Taste Of Home.This post has been linked up to these fabulous blogs! 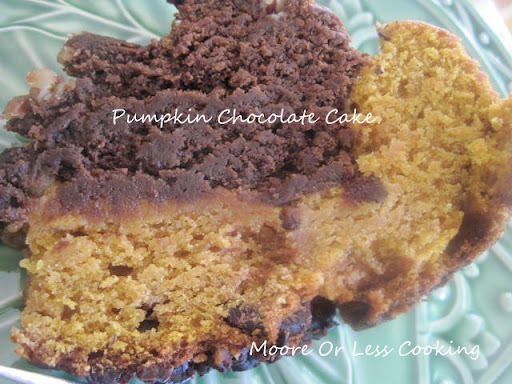 one of my family's favorite breakfast treats is chocolate chip pumpkin muffins…so I'm thinkin' this is a must make recipe for the fam'! Is there any way to save your recipes into my recipe box?